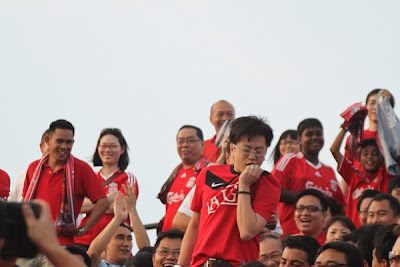 Liverpool was in town last weekend for a game with Singapore at the National Stadium. Wierd someone told me the Kallang Stadium would not hold any more games due to rebuilding, nvm that. The game ended 5-0 with liverpool winning. Not a surprise, the Lions played badly and liverpool was not even on top gear. Anyway the weirdest part is probably a Manchester United fan caught spotted there. Respect sia, he really got the balls to go there alone and really big balls to taunt the pools fans shown in the video clip.